Now go to Confession (or, if that is not possible, go during the 8 days prior) and then receive Communion with the intention of giving yourself to Jesus, as a slave of love, by the hands of Mary. Now pray the words of the consecration. Copy them and have them with you at church, read them after the Mass (in front of the tabernacle would be nice) and sign your copy of the Act of Consecration. O Eternal and incarnate Wisdom! O sweetest and most adorable Jes us! True God and true man, only Son of the Eternal Father and of Mary, always virgin! I adore Thee profoundly in the bosom and splendours of Your Father during eternity and I adore You also in the virginal bosom of Mary, Your most worthy Mother, in the time of Your incarnation. I give You thanks for that You have annihilated Yourself, taking the form of a slave in order to rescue me from the cruel slavery of the devil. I praise and glorify You for that You have been pleased to submit Yourself to Mary, Your holy Mother, in all things, in order to make me Your faithful slave through her. But, alas! Ungrateful and faithless as I have been, I have not kept the promises which I made so solemnly to You in my Baptism; I have not fulfilled my obligations; I do not deserve to be called Your child, nor yet Your slave and as there is nothing in me which does not merit Your anger and Your repulse, I dare not come by myself before Your most holy and august Majesty. It is on this account that I have recourse to the intercession of Your most holy Mother, whom You have given me for a mediatrix with You. It is through her that I hope to obtain of Your contrition, the pardon of my sins and the acquisition and preservation of wisdom. Hail, then, O immaculate Mary, living tabernacle of the Divinity, where the Eternal Wisdom willed to be hidden and to be adored by angels and by men! Hail, O Queen of Heaven and earth, to whose empire everything is subject which is under God. Hail, O sure refuge of sinners, whose mercy fails no one. Hear the desires which I have of the Divine Wisdom and for that end, receive the vows and offerings which in my lowliness I present to you. I, N_____, a faithless sinner, renew and ratify today in your hands the vows of my Baptism, I renounce forever Satan, his pomps and works and I give myself entirely to Jesus Christ, the Incarnate Wisdom, to carry my cross after Him all the days of my life and to be more faithful to Him than I have ever been before. In the presence of all the heavenly court, I choose you this day for my Mother and Mistress. I deliver and consecrate you, as your slave, my body and soul, my goods, both interior and exterior and even the value of all my good actions, past, present and future, leaving to you the entire and full right of disposing of me and all that belongs to me, without exception, according to your good pleasure, for the greater glory of God in time and in eternity. Receive, O holy Virgin, this little offering of my service, in honour of and in union with, that subjection which the Eternal Wisdom deigned to have to your maternity, in homage to the power which both of you have over this poor sinner and in thanksgiving for the privileges with which the Holy Trinity has favoured you. I declare that I wish henceforth, as your true slave, to seek your honour and to obey you in all things. O admirable Mother, present me to thy dear Son as His eternal slave, so that as He has redeemed me by you, by you He may receive me! O Mother of mercy, grant me the grace to obtain the true Wisdom of God and for that end, receive me among those whom you love and teach whom you lead, nourish and protect as your children and your slaves. O faithful Virgin, make me in all things so perfect a disciple, imitator and slave of the Incarnate Wisdom, Jesus Christ your Son, that I may attain, by your intercession and by your example, to the fullness of His age on earth and of His glory in Heaven. Amen. • Keep praying to develop a “great contempt” for the spirit of this world. • Frequently recite the Ave Maria, Rosary and the Magnificat. • Do everything through, with, in and for Mary for the sake of Jesus, with the prayer, “I am all yours Immaculate One, with all that I have, in time and in eternity” in your heart and on your lips. 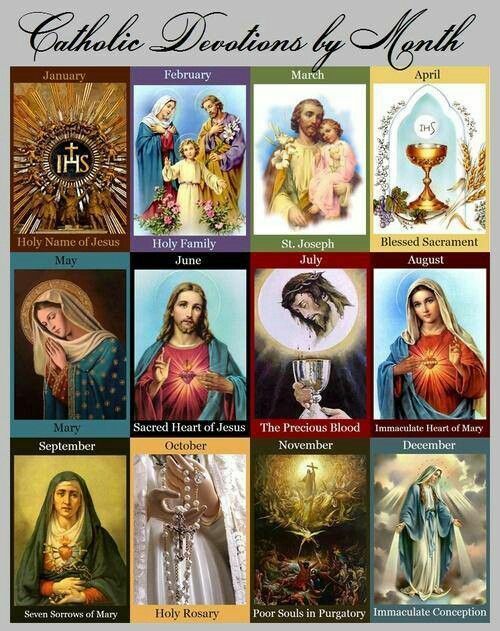 • Associate yourself with Mary in a special way before, during and after Communion. • Wear a little iron chain (around the neck, arm, waist, or ankle) as an outward sign and reminder of holy service. This practice is optional, but very recommended by St Louis. The appearance of this chain is not further specified. O most sweet Lord Jesus, how great is the pleasure of the devout soul that feasts with You in Your banquet, where there is set for her, no other food to be eaten but Yourself, her only Beloved and most to be desired, above all the desires of her heart! To me also it would be indeed sweet, in Your presence to pour forth tears from the very bottom of my heart and with the grateful Magdalene, to wash Your feet with tears (Luke 7:38). But where is that devotion? Where that bountiful flowing of holy tears? Surely in Your sight and Your holy Angels, my whole heart ought to burn and to weep for j oy. For in this Sacrament I have You mystically present, hidden under another shape. For to look upon You in Your own Divine brightness, my eyes would not be able to endure, nor could even the whole world stand in the splendour of the glory of Your majesty. Herein then You have regard to my weakness, that You hide Yourself under this Sacrament. 261. We must do everything in Mary. To understand this, we must realise that the Blessed Virgin is the true earthly paradise of the new Adam and that the ancient paradise was only a symbol of her. There are in this earthly paradise untold riches, beauties, rarities and delights, which the new Adam, Jesus Christ, has left there. It is in this paradise that He “took his delights” for nine months, workedHhis wonders and displayed His riches with the magnificence of God Himself. In this earthly paradise grows the real Tree of Life, which bore our Lord, the fruit of Life, the tree of knowledge of good and evil, which bore the Light of the world. In this divine place there are trees planted by the hand of God and watered by His divine unction, which have borne and continue to bear fruit, that is pleasing to Him. Only the Holy Spirit can teach us the truths that these material objects symbolise. 262. The Holy Spirit, speaking through the Fathers of the Church, also calls our Lady the Eastern Gate, through which the High Priest, Jesus Christ, enters and goes out into the world. Through this gate, He entered the world the first time and through this same gate, He will come the second time. 265. Finally, we must do everything for Mary. We take Mary for our proximate end, our mysterious intermediary and the easiest way of reaching Him. Relying on her protection, we should undertake and carry out, great things for our noble Queen. We must defend her privileges when they are questioned and uphold her good name when it is under attack. We must attract everyone, if possible, to her service and to this true and sound devotion. As a reward for these little services, we should expect nothing in return, save the honour of belonging to such a lovable Queen and the joy of being united through her to Jesus, her Son, by a bond that is indissoluble in time and in eternity. Blessed is he that understands (Psalm 119:1,2) what it is to love Jesus and to despise himself for Jesus’ sake. You ought to leave your beloved, for your beloved (Deut. 6:5; Matt. 22:37; Cant. 2:16); for that Jesus will be loved alone above all things. The love of things created is deceitful and inconstant, the love of Jesus is faithful and persevering. He that cleaves to a creature, shall fall with that which is subject to fall; he that embraces Jesus shall be made strong forever. 2. Love Him and keep Him for your friend, who, when all go away, will not forsake you, nor suffer you to perish in the end. Some time or other you must be separated from all, whether you wish or not. Keep close to Jesus both in life and in death and commit yourself to His faithfulness, who, when all fail, can alone help you. Your Beloved is of that nature, that He will admit of no rival but will have your heart alone and sit on His throne as King. If you could empty yourself perfectly from all creatures, Jesus would willingly dwell with you. There are some very sanctifying interior practices for those souls who feel called by the Holy Spirit to a high degree of perfection. They may be expressed in four words, doing everything through Mary, with Mary, in Mary and for Mary, in order to do it more perfectly through Jesus, with Jesus, in Jesus and for Jesus. 258. We must do everything through Mary, that is, we must obey her always and be led in all things by her spirit, which is the Holy Spirit of God. 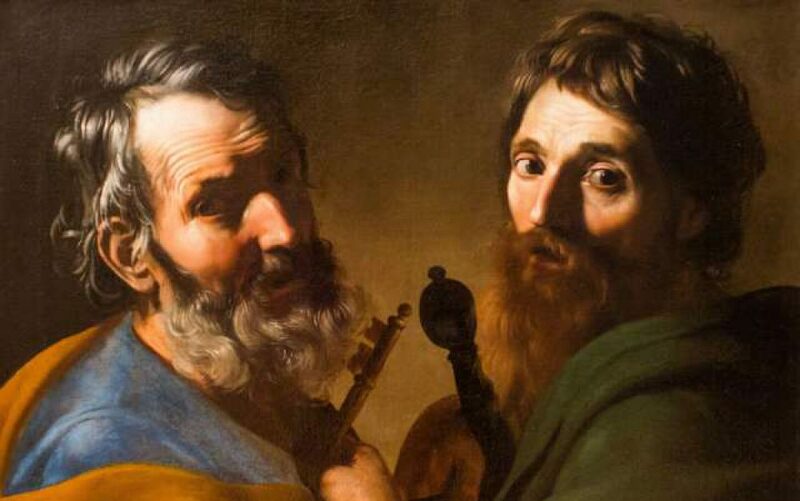 “Those who are led by the Spirit of God are children of God,” says St. Paul. Those who are led by the spirit of Mary are children of Mary and, consequently children of God, as we have already shown. Among the many servants of Mary only those who are truly and faithfully devoted to her are led by her spirit. I have said that the spirit of Mary is the spirit of God, because she was never led by her own spirit but always by the spirit of God, who made Himself master of her to such an extent, that He became her very spirit. That is why St Ambrose says, “May the soul of Mary be in each one of us to glorify the Lord. May the spirit of Mary be in each one of us to rejoice in God.” Happy is the man who follows the example of the good Jesuit Brother Rodriguez, who died a holy death, because he will be completely possessed and governed by the spirit of Mary, a spirit which is gentle yet strong, zealous yet prudent, humble yet courageous, pure yet fruitful. 260. We must do everything with Mary, that is to say, in all our actions we must look upon Mary, although a simple human being, as the perfect model of every virtue and perfection, fashioned by the Holy Spirit for us to imitate, as far as our limited capacity allows. In every action then, we should consider how Mary performed it or how she would perform it if she were in our place. For this reason, we must examine and meditate on the great virtues she practised during her life, especially: 1) Her lively faith, by which she believed the angel’s word without the least hesitation and believed faithfully and constantly, even to the foot of the Cross on Calvary. 2) Her deep humility, which made her prefer seclusion, maintain silence, submit to every eventuality and put herself in the last place. In confidence of Your goodness and great mercy, O Lord, I draw near, sick to the Healer, hungry and thirsty to the Fountain of life, needy to the King of Heaven, a servant to his Lord, a creature to the Creator, desolate to my own tender Comforter. “But how is this to me,” that You come unto me (Luke 1:43)? What am I, that You should grant me Your own self? how dare a sinner appear before Your? And how is it that You vouchsafe to come unto a sinner? You know Your servant and are well aware that he has in him no good thing, for which You should grant him this. I confess, therefore, my own vileness, I acknowledge Your goodness, I praise Your tender mercy and give You thanks for Your transcendent love. From True Devotion To the Blessed Virgin Mary, Nos. 243-254 243. Loving slaves of Jesus in Mary, should hold in high esteem devotion to Jesus, the Word of God, in the great mystery of the Incarnation, 25 March, which is the mystery proper to this devotion, because it was inspired by the Holy Spirit, for the following reasons: a) That we might honour and imitate the wondrous dependence which God the Son chose to have on Mary, for the glory of His Father and for the redemption of man. This dependence is revealed especially in this mystery where Jesus becomes a captive and slave in the womb of His Blessed Mother, depending on her for everything. b) That we might thank God for the incomparable graces He has conferred upon Mary and especially that of choosing her to be His most worthy Mother. This choice was made in the mystery of the incarnation. These are the two principal ends of the slavery of Jesus in Mary. 245. a) Since we live in an age of pride when a great number of haughty scholars, with proud and critical minds, find fault even with long-established and sound devotions, it is better to speak of “slavery of Jesus in Mary” and to call oneself “slave of Jesus” rather than “slave of Mary”. We then avoid giving any pretext for criticism. In this way, we name this devotion after its ultimate end which is Jesus, rather than after the way and the means to arrive there, which is Mary. However, we can very well use either term without any scruple, as I myself do. 246. b) Since the principal mystery celebrated and honoured in this devotion is the mystery of the Incarnation where we find Jesus only in Mary, having become incarnate in her womb, it is appropriate for us to say, “slavery of Jesus in Mary”, of Jesus dwelling enthroned in Mary, according to the beautiful prayer, recited by so many great souls, “O Jesus living in Mary”. Salutation. Few Christians, however enlightened, understand the value, merit, excellence and necessity of the Hail Mary. Our Blessed Lady herself had to appear on several occasions to men of great holiness and insight, such as St Dominic, St.John Capistran and Blessed Alan de Rupe, to convince them of the richness of this prayer. Then they sat down and kept watch over him there. 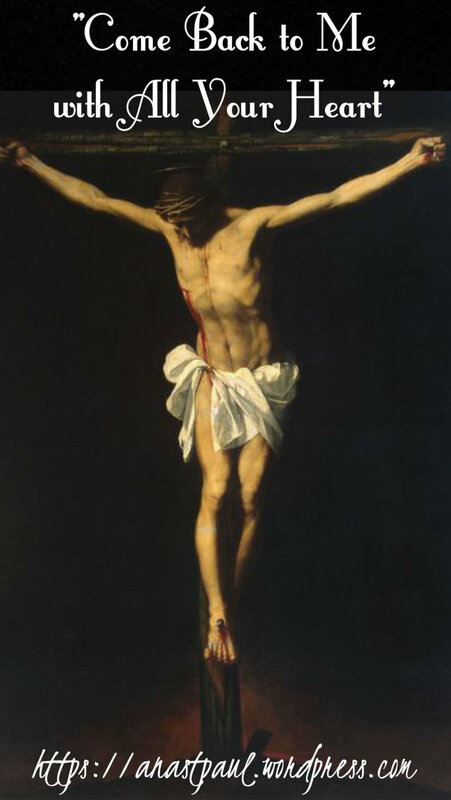 And over his head they put the charge against him, which read, “This is Jesus the King of the Jews.” Then two robbers were crucified with him, one on the right and one on the left. And those who passed by derided him, wagging their heads and saying, “You who would destroy the temple and build it in three days, save yourself! If you are the Son of God, come down from the cross.” So also the chief priests, with the scribes and elders, mocked him, saying, “He saved others, he cannot save himself. He is the King of Israel, let him come down now from the cross and we will believe in him. He trusts in God, let God deliver him now, if he desires him, for he said, ‘I am the Son of God.’ ” And the robbers who were crucified with him also reviled him in the same way. Unto many this seems a hard saying, “Deny yourself, take up your cross and follow Jesus” (Matt. 16:24). But much harder will it be to hear that last word, “Depart from Me, you cursed, into everlasting fire” (Matt. 25:41). For they who now willingly hear and follow the word of the Cross, shall not then fear (Psalm 112:7) to hear the sentence of everlasting damnation. This sign of the Cross shall be in the heaven, when the Lord shall come to judgement (Matt. 24:30). Then all the servants of the Cross, who in their life-time conformed themselves unto Christ crucified, shall draw near unto Christ the Judge with great confidence. Why therefore fear you to take up the Cross which leads you to the kingdom? In the Cross is salvation, in the Cross is life, in the Cross is protection against our enemies, in the Cross is infusion of heavenly sweetness, in the Cross is strength of mind, in the Cross joy of spirit, in the Cross the height of virtue, in the Cross the perfection of holiness. Take up, therefore, your Cross and follow Jesus (Luke 14:27) and you shall go into life everlasting. He that follows Me, walks not in darkness (John 8:12), says the Lord. These are the words of Christ, by which we are admonished, how we ought to imitate His life and manners, if we would truly be enlightened and delivered from all blindness of heart. Let, therefore, our chief endeavour be, to meditate upon the life of Jesus Christ. The doctrine of Christ exceeds all the doctrine of holy men and he that has the Spirit will find therein the hidden manna (Apocalypse. 2:17). But it happens that many, who often hear the Gospel of Christ, feel little desire after it, because they have not the Spirit of Christ (Rom. 8:9). But whosoever will fully and with relish understand the words of Christ, must endeavour to conform his life wholly to the life of Christ. 2. What does it avail you to discourse profoundly of the Trinity, if you be void of humility and are thereby displeasing to the Trinity? Surely profound words do not make a man holy and a just and a virtuous life makes him dear to God. I had rather feel contrition, than know the definition thereof. If you did know the whole Bible by heart and the sayings of all the philosophers, what would all that profit you without the love of God (1 Cor. 13:2) and without His grace? Vanity of vanities and all is vanity (Eccles. 1:2), except to love God and to serve Him only. This is the highest wisdom, by contempt of the world, to press forward towards heavenly kingdoms. …Then Jesus came with them into a country place which is called Gethsemani and he said to his disciples: Sit you here, till I go yonder and pray. And taking with him Peter and the two sons of Zebedee, he began to grow sorrowful and to be sad. Then he said to them: My soul is sorrowful even unto death, remain here and watch with me. And going a little further, he fell upon his face, praying and s aying: My Father, if it be possible, let this chalice pass from me. Nevertheless not as I will but as thou will. And he came to his disciples and found them asleep and he said to Peter: What? Could you not watch one hour with me? Watch and pray that you enter not into temptation. The spirit indeed is willing but the flesh weak. Again the second time, he went and prayed, saying: My Father, if this chalice may not pass away but I must drink it, thy will be done. And he came again and found them sleeping, for their eyes were heavy. And leaving them, he went again and he prayed the third time, saying the selfsame word. Then he came to his disciples and said to them, Sleep now and take your rest, for behold the hour is at hand and the Son of man shall be betrayed into the hands of sinners. Rise, let us go, behold he is at hand, that will betray me.